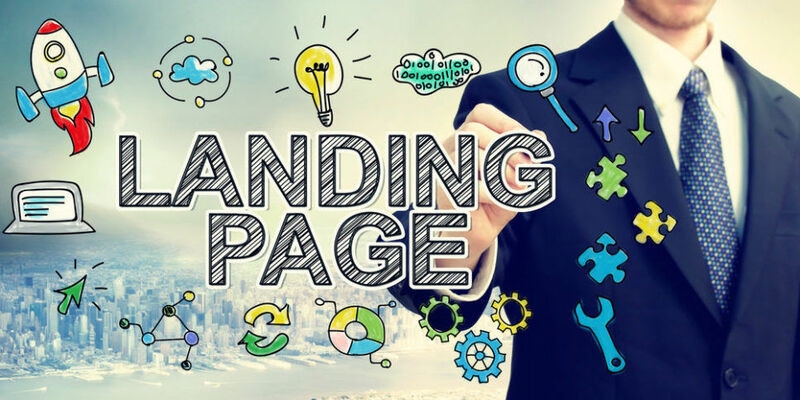 In the cleanest nous, a “landing page” is any single page on the web that one can reach at or “land on” in reply to an online ad or clicking on a search-engine-optimized search result. A lead page is a separate web page discrete from the main site that is intended for a dedicated objective – transform website visitors into leads or sales. If your aim is to get a lead, the landing page shall include some way for the visitor to contact you, typically an inquiry form or a contact number. If it’s for sale, the landing pages will have a link, which upon clicking will redirect your visitor to a checkout area or a shopping cart. By examining the activity generated, you can use conversion rate and click-through rates to conclude the achievement of an advertisement. We have briefly explained below the types and uses of website landing pages and how we can help design them. There are basically two types of landing pages, Click-through and Lead Generation also known as Lead Capture pages. As the name indicates, Click-through landing pages persuade your visitor to click-through to another web page. Usually used in the e-commerce business, they are used to explain about a product or an offer with adequate detail so that your visitor is prompted to make a decision on purchasing. Most often, in-bound advertising traffic is focused on registration pages or shopping cart. Which leads to a meager conversion as the advertisement does not provide adequate info to make an informed decision. With click-through page, your visitor would pass through the particulars of the landing page leading to a far higher conversion chance. Lead Capture pages are used to seize user-data, like a name, phone number or e-mail address. The single objective of the page is to gather info which will let you to connect and market with the prospective lead at a later time. Per se, a lead gen page would comprise a form alongside with an explanation of what your visitor will get in return for submitting their personal info. A/B testing means running an experiment simultaneously between 2 or more pages to check which of them converts or performs the best. In spite of the title A/B testing, the experimentation could be conducted on as many pages as required. Once the decision is made on what to test: photography, headline, adding a video etc. you can make new variants of your web page for experimentation. If you’re starting an online campaign, we can help you to custom design your landing pages by incorporating contact forms, sign up forms, videos and a lot more that gives you a quick turnaround for your website. A great way to market your business and even create an effective AdWords campaign is to use a landing page. Landing pages are single web pages that are also known as lead capture pages. They are optimized for the Search Engine and have tools that allow for conversion stats and analytics on who’s visiting the web page. You’re also able to see click-through rates and view what the return on your campaign is with split testing known as A/B testing. This allows you to create 2 landing pages with similar messages and then you can send them out on the campaigns and see what the performance was like on both. This is one method of split testing. Our landing pages can incorporate, videos, contact forms, sign up forms, and a lot more. And they also come with a custom design that has a quick turnaround for website development. If you’re going to start an online campaign our landing pages can help.